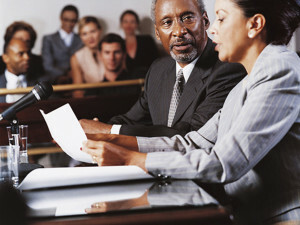 If you are interested in working as a paralegal, it is time to learn how long it takes to get a paralegal certificate. A paralegal certificate is available to high school graduates and post-baccalaureate students who want to learn about paralegal studies and distinguish themselves from other candidates in the field who do not have a specialized and field-specific certificate. If you would like to learn more about certificate programs and how long you can expect to spend studying, read on and learn what you need to know. What Types of Paralegal Certificate Programs Are There? There are two different types of paralegal certificates that you can pursue and each are very different. Some programs are available to high school graduates who would like to gain the technical skills they need to become legal assistants at an entry-level capacity. Other programs are specifically for individuals who already hold their Bachelor’s in a different major area and who would like to cover graduate-type of student as it relates to paralegal studies. It is not a graduate degree program, but it will help you learn how to become a professional who has specialized knowledge in all things paralegal studies. Many are confused when they hear terms like paralegal certificate and paralegal certification, according to Paralegal Today. At first glance, the two terms may look like terms that can be used interchangeably. In actuality, however, the two terms are very different. A paralegal certificate is a something that is earned by students who complete a paralegal program in school. It is similar to a degree and shows that you have passed the curriculum. A certification is offered by professional associations and state agencies. It shows that you have demonstrated that you have the knowledge to work as a paralegal and that you have the required practical experience to hold the title. Paralegal certification is something that you will pursue only after you have completed your education unless you have experience. To get certified through the National Association of Legal Assistants you must have completed a paralegal program or have at least 7 years of experience with your high school degree. Since many do not want to wait seven years for certification, completing an approved program is recommended. How Long Will It Take to Study for a Certificate? How long you will be studying for a certificate will depend upon the program that you enroll in. The programs that exist today require between 18 and 45 credit hours and they are usually delivered on a part-time basis unless your schedule can justify a full-time layout. Because there is such a dramatic variance in requirements and structures, it can take anywhere from 1 year to 4 years to complete your studies. This is assuming that you have already completed a bachelor’s degree program in a different discipline. There are two very distinct paths that paralegals will take to start their careers. There are those who have used administrative experience to land a role and those who have completed formal training. Since there is so much competition in the field with the top law firms, having formal training before you start your job search is recommended. Equipped with the information on how long it takes to get a paralegal certificate, you will be able to map out the path that you will take.